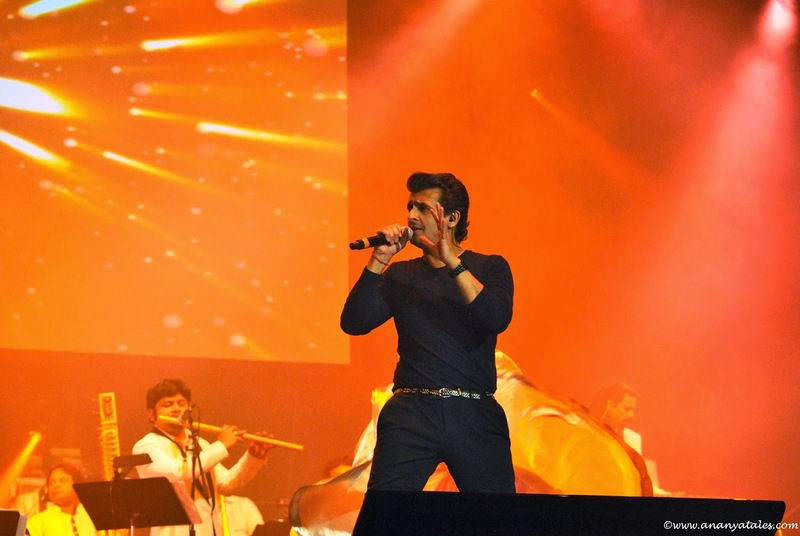 Home / Local Events / Mixed Bag / Sonu Nigam Concert ! 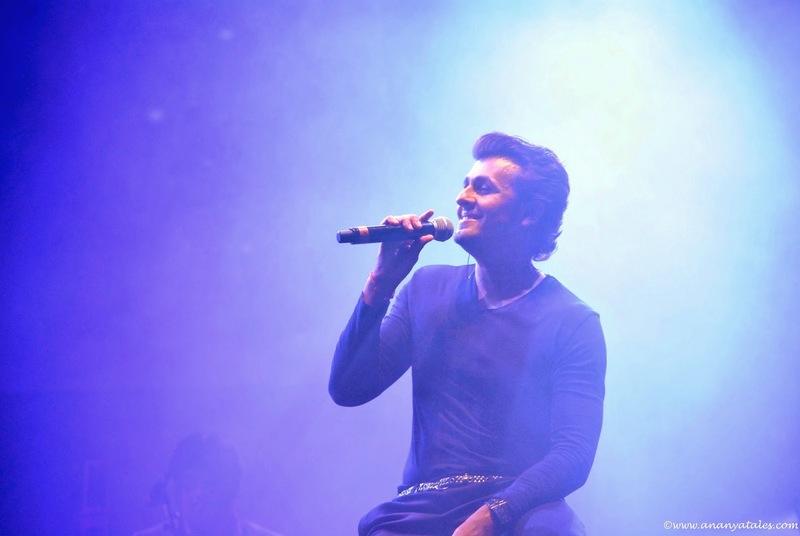 Talks about Sonu Nigam's concert have been in air since a month now. I have heard so many people who are all excited and geared up for his show. Yes, I am one of them too. 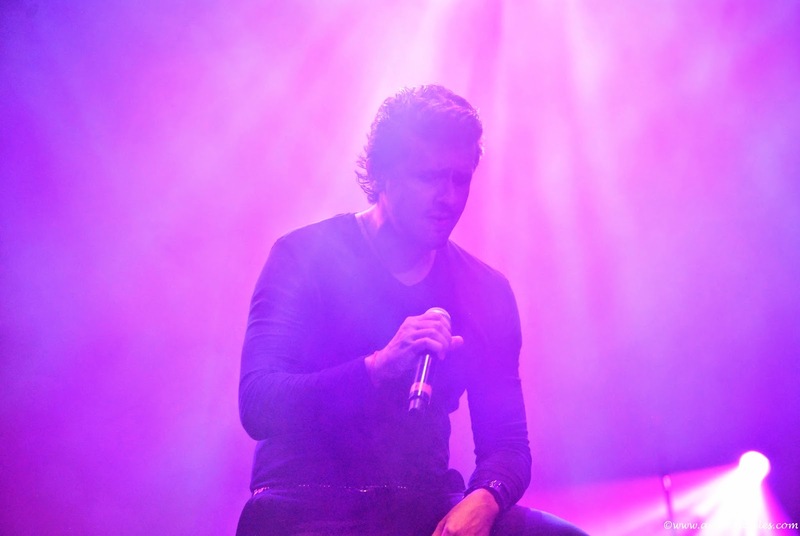 Few years back Sonu Nigam visited my native city and gave a rocking performance. My whole family and friends and friends family attended this event. I still remember the way we danced together listening to his melodious voice, it was like one big party. Thank God it was a huge open ground where the concert was arranged, so no restrictions about space. Its not just about his singing, he is a performer. 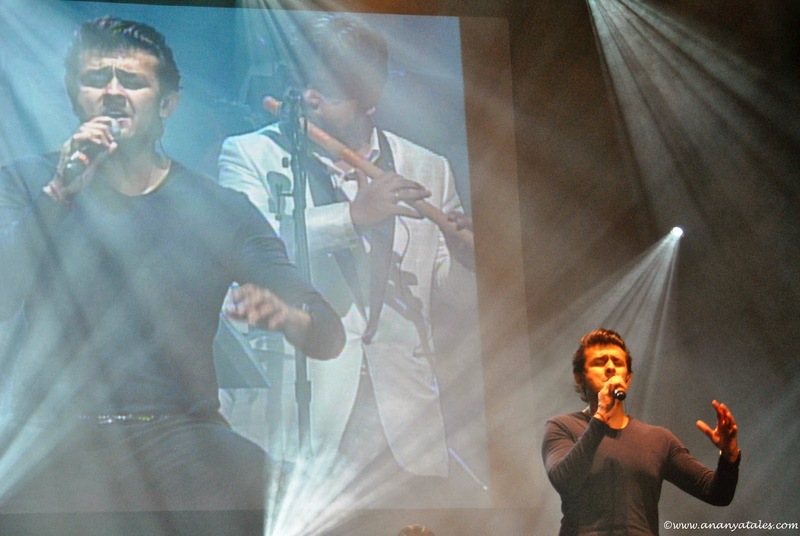 He knows exactly how to keep the audience entertained for a long long time. Today after so many years, I am going to his concert again minus my friends people who are all in different parts of India and other countries. I am going to miss them all so very much. I have read a lot about his performances in other states and it has increased my expectation level. The auditorium was completely filled with people one hour before the show, it was no less than any festival. All families getting together chatting, laughing and waiting for the show to start. Yes it did start with the emcee Shruthi Menon introducing Jonita Gandhi who is the playback singer for Bollywood Blockbuster movies likes Chennai Express, Highway and many more. She set up the mood perfectly so did the dancers. 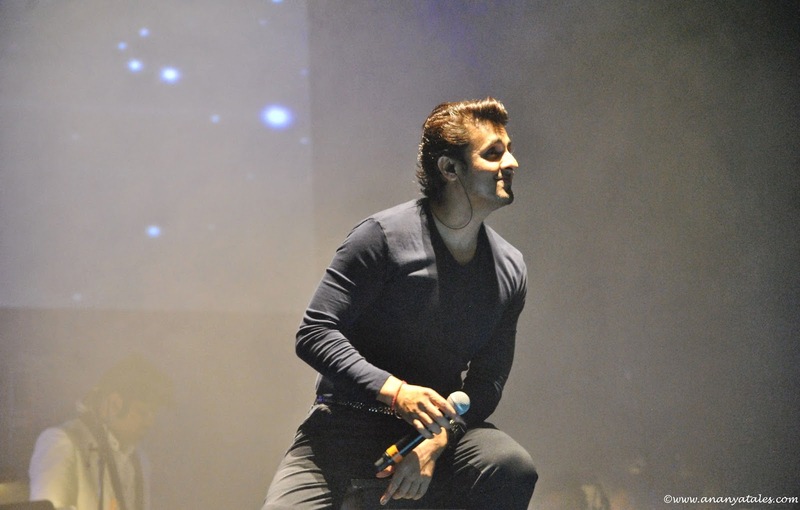 Sonu Nigam made a grand entrance to the stage and the entire auditorium was filled with loud applause, screams, whistles and hoots. 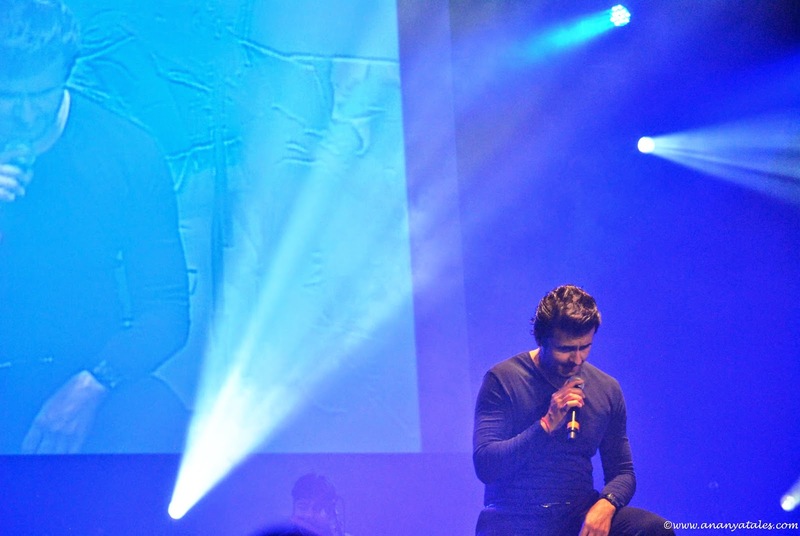 His chiseled features and that sweet smile and this great stage presence makes him this heart throb that he is. When he sings of course its a treat to listen to him. He is a Magician in every way, his ability to sing in different voices and his energy is so infectious. Every single person in the audience was either clapping or humming the song or dancing along. Watching him from the first row, within 5 feet distance was the cherry on the cake. 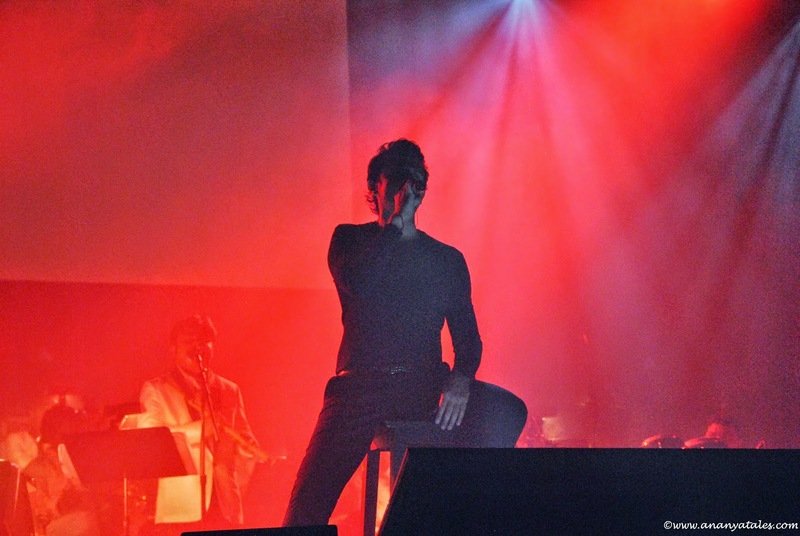 He has this immense skill of emotionally connecting himself with the audience and he does it so well and you can just sit there look at him, listen to his voice and just forget about everything else. 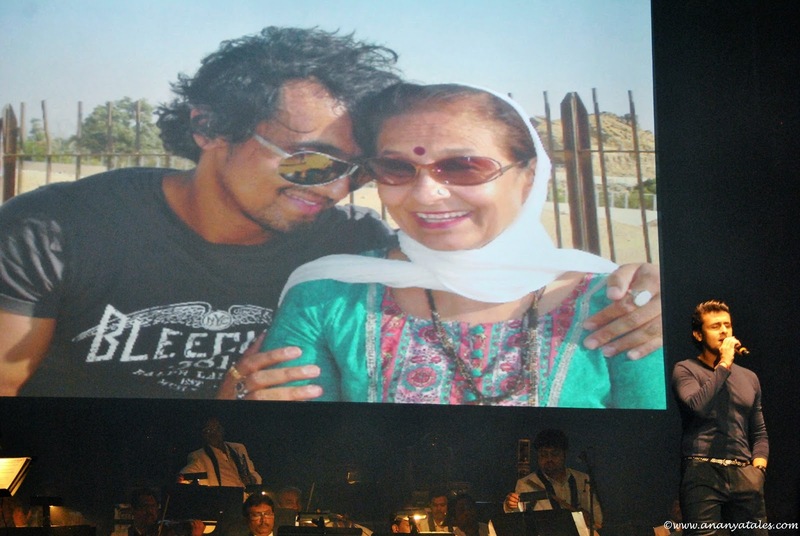 Sonu Nigam was in tears when they played a small video clip of his 2012 concert where his late mother Mrs. Shobha Nigam sings a song. 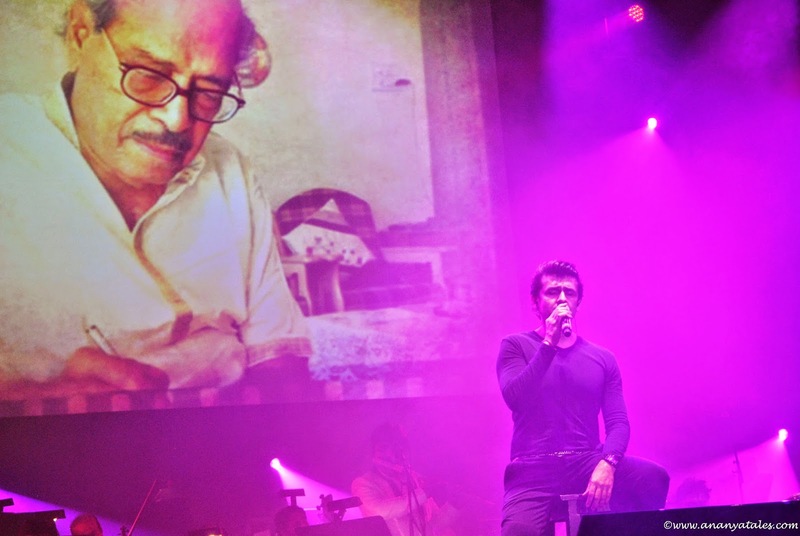 Audience showered all their love and support to this singer with loud long applause. At the end he sang peppy dance numbers and took us to whole different level of excitement and fun. People jumped out of their seats and started dancing. Right from kids to teenagers to elders everyone enjoyed themselves that night. WOW ! It was one mesmerizing performance. 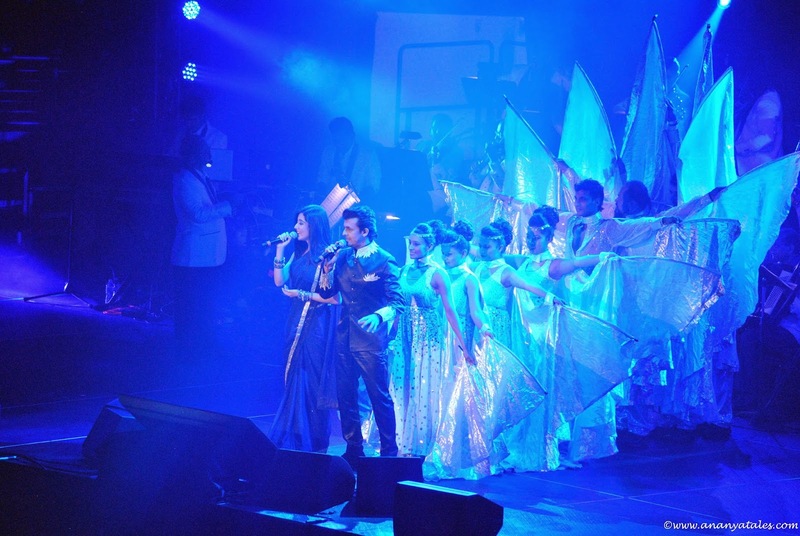 There was standing ovation to these great performers - Symphony orchestra group, dancers, singers and Sonu Nigam himself. We as a audience never realized that it was 12:15AM at night already. 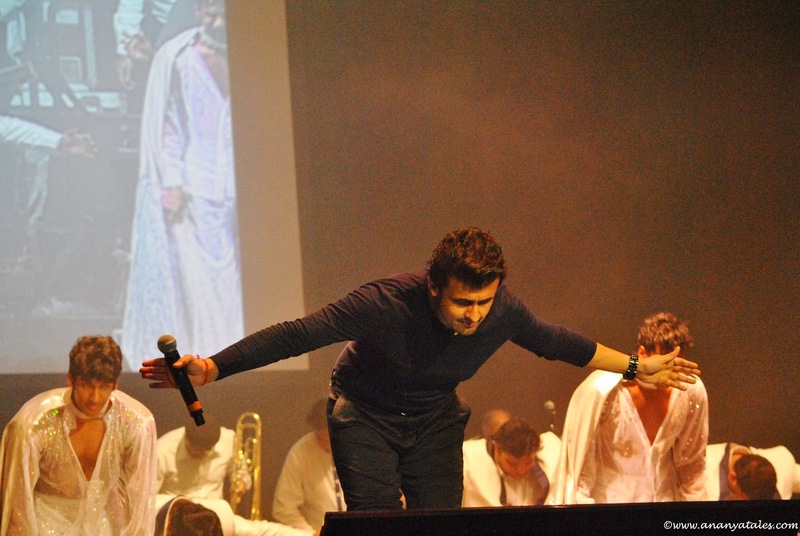 Next time Sonu Nigam is in your city, Please don't miss that show ! 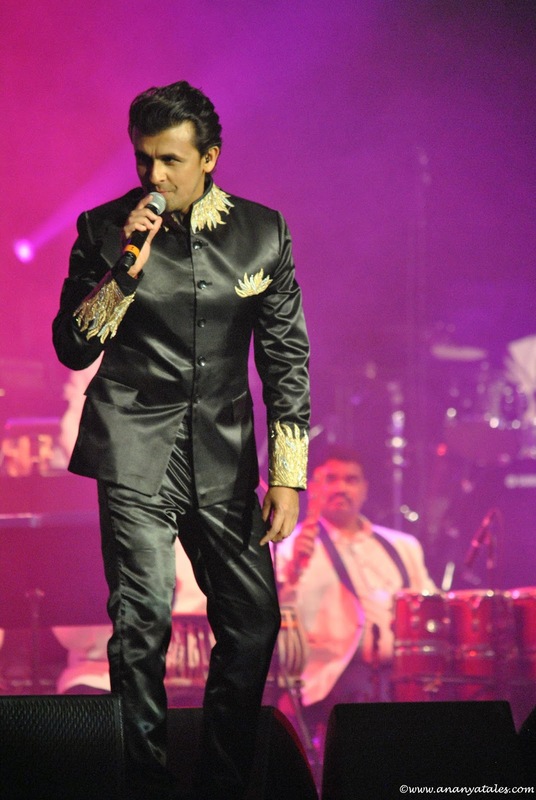 I have always wanted to go to Sonu Nigam's concert. SOme of his songs are my favorite. The photos are awesome :D I can feel the euphoria through your post. Hez an amazing singer and remember being his fan when he just started out with this pop albums..it was fab. I haven't seen Sonu live but watched him last on Comedy Nights with Kapil..such an entertainer. 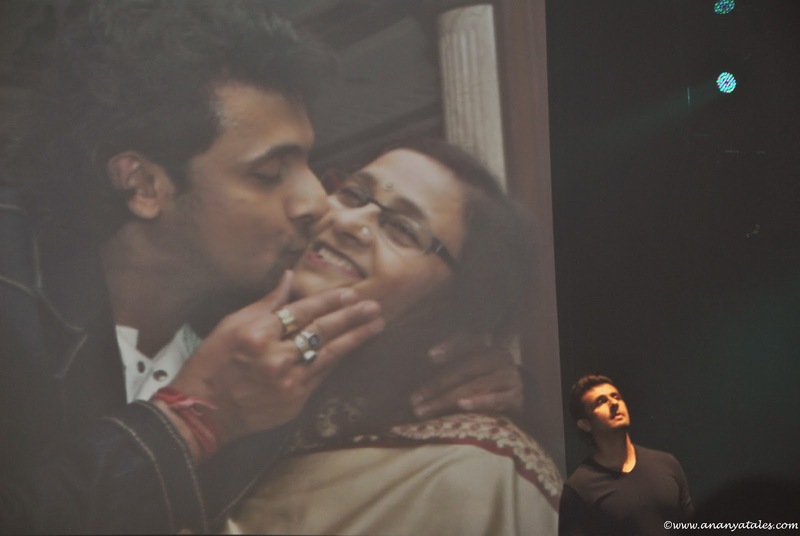 Thank you Ananya... Glad you enjoyed.... And thank you Tania for sending me this note to read.... Its overwhelming... And very encouraging..... God bless and see you soon someday. .
Is it really SONU NIGAM, who visited my website and read what I wrote about him ! I am gonna faint someone please catch me, too good to be true ! But I want to believe it, Thanks you so much Sonu Nigam for reading this post, I am overwhelmed with joy that you liked it ! Wow Ananya ! LUCKY YOU! double Congrats!! !